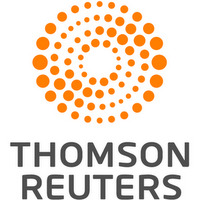 The Spanish city of Valencia's five day festival known as Las Fallas ended at midnight on Sunday, March 19th with a ceremony in which nearly 380 papier mache sculptures were set alight. The crowded city, which has celebrated the annual tradition with fireworks, costume parades, paella contests, bullfights and street parties for almost a week, came to an end with the burning of the famous "ninots" sculptures located all over the city. Ninots burn on the last night of the Fallas Festival in Valencia, Spain on March 19, 2017. Fallas are gigantic structures made of cardboard portraying current events and personalities in which individual figures or ninots are placed. The Fallas are burnt in the streets of Valencia as a tribute to St Joseph, patron saint of the carpenters' guild. 'Ninots' (puppets or dolls) are displayed during the 'Fallas' Festival. The Fallas is a traditional celebration held in commemoration of Saint Joseph in the city of Valencia. A ninot representing US President Donald Trump burns on the last night of the Fallas Festival in Valencia, Spain on March 19, 2017. Fallas are gigantic structures made of cardboard portraying current events and personalities in which individual figures or ninots are placed. The Fallas are burnt in the streets of Valencia as a tribute to St Joseph, patron saint of the carpenters' guild. A 'ninot' (puppet or doll) is displayed during the 'Fallas' Festival. The Fallas is a traditional celebration held in commemoration of Saint Joseph in the city of Valencia. A Fallas monument burns during the last day of Las Fallas festival in Valencia, Spain, on 19 March 2017. The Fallas festival takes place in Valencia from 15th to the 19th of March every year to commemorate the city's patron saint, St. Joseph. The festival ends with the burning of nearly 800 of large monuments known as 'ninots' which were placed around the city. A 'ninot' (puppet or doll) displayed during the 'Fallas' Festival. The Fallas is a traditional celebration held in commemoration of Saint Joseph in the city of Valencia. Figures of a Fallas monument are burning during the finale of the Fallas festival, which welcomes spring and commemorates Saint Joseph's Day, in Valencia early March 20, 2017. A figure depicting U.S. President Donald Trump stands next to lit fireworks during the finale of the Fallas festival, which welcomes spring and commemorates Saint Joseph's Day, in Valencia early March 20, 2017. Participants wearing traditional costumes during the last day of Las Fallas festival in Valencia, Spain, on 19 March 2017. The Fallas festival takes place in Valencia from 15th to the 19th of March every year to commemorate the city's patron saint, St. Joseph. The festival ends with the burning of nearly 800 of large monuments known as 'ninots' which were placed around the city. People with traditional costumes attend Las Fallas festival in Valencia, Spain on March 19, 2017. Ninots burn on the last night of the Fallas Festival in Valencia on March 19, 2017. Fallas are gigantic structures made of cardboard portraying current events and personalities in which individual figures or Ninots are placed. The Fallas are burnt in the streets of Valencia as a tribute to St Joseph, patron saint of the carpenters' guild. A 'ninot' (puppet or doll) representing Cristiano Ronaldo, left, is displayed during the 'Fallas' Festival. The Fallas is a traditional celebration held in commemoration of Saint Joseph in the city of Valencia. Several people taking a selfie during the 'Fallas' Festival. The Fallas is a traditional celebration held in commemoration of Saint Joseph in the city of Valencia. Two firemen use their hose near a burnning falla on the last night of the Fallas Festival in Valencia on March 19, 2017. Fallas are gigantic structures made of cardboard portraying current events and personalities in which individual figures or ninots are placed. The Fallas are burnt in the streets of Valencia as a tribute to St Joseph, patron saint of the carpenters' guild. 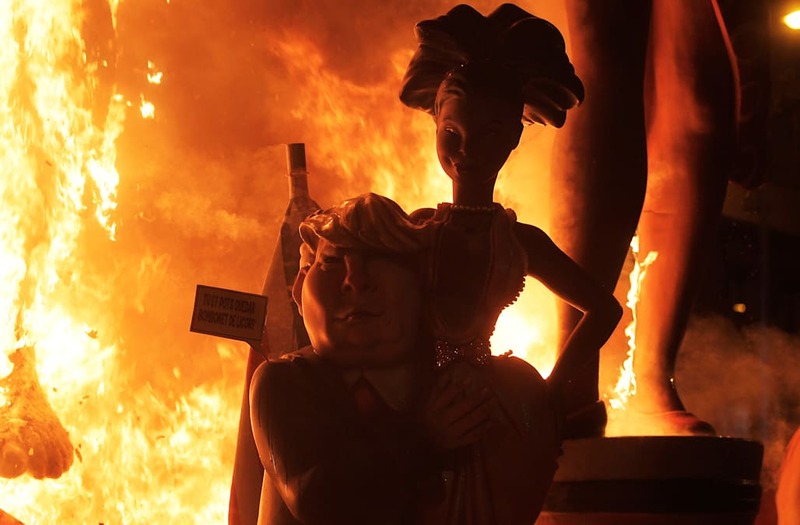 A ninot representing US President Donald Trump is displayed before being burnt on the last night of the Fallas Festival in Valencia on March 19, 2017. Fallas are gigantic structures made of cardboard portraying current events and personalities in which individual figures or Ninots are placed. The Fallas are burnt in the streets of Valencia as a tribute to St Joseph, patron saint of the carpenters' guild. With the street lights turned off, fireworks marked the start of the burning ceremony and the light from the huge bonfires of paper mache statues illuminated the coastal city. Every year, the different districts of Valencia build a "Falla", which takes the whole year to design, build and paint, and compete to win the first prize in the city contest. Neighbourhood residents attending the ceremony were joined by their "Fallera Mayor" and "Fallera Junior Mayor", adult and child representatives of the local Falla association. They are chosen by their neighbours to represent them and hold the title for a year. Every year one Falla is saved from the flames thanks to people's votes, and it is moved to The Museum of the Fallero Artist for posterity. The big papier mache statues usually represent Spanish political events in an ironic and sarcastic way, laughing at politicians, stars and local stories, but they also include recent events from the world agenda. The celebration is thought to have originated from pagan festivals celebrating the end of the winter and is also considered a homage to Saint Joseph, the patron saint of carpenters, builders of the sculptures.